Product prices and availability are accurate as of 2019-04-19 11:23:28 UTC and are subject to change. Any price and availability information displayed on http://www.amazon.com/ at the time of purchase will apply to the purchase of this product. 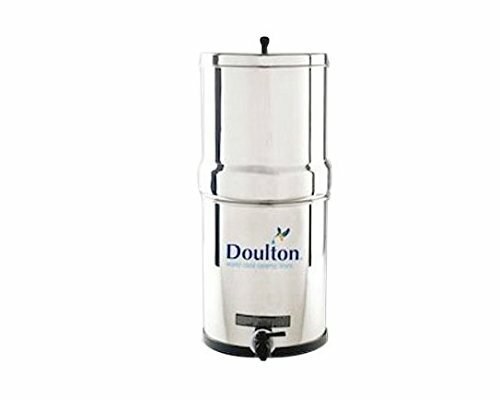 DOULTON-W9361122 Features: -Polished stainless steel, containing two filter candles made of a sterasyl ceramic outer shell and carbon block core. -Upper reservoir holds over two gallons of untreated water, while lower reservoir holds over two treated gallons. -Self-sterilizing silver locked within the filter candles' ceramic structure to inhibit bacteria growth. 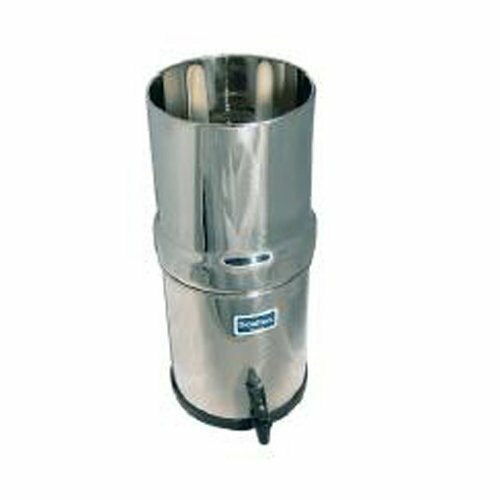 -Capacity: 4 gallon. Product Type: -Filter System. Filter Component: -Filtration system. Dimensions: Overall Height - Top to Bottom: -14". Overall Width - Side to Side: -10". Overall Depth - Front to Back: -10". Overall Product Weight: -6.41 lbs.